This post is going to give you some ideas on how to promote our free ebook “11 Proven Techniques to Get More Sales from Classified Ads. You can download a free copy and re-brand it with your affiliate links here:. Even though we are focusing on promoting our free ebook. You can use these techniques to promote any ebook. We have already made many sales using these techniques so we know they work! First here is how the free ebook affiliate marketing concept works. We have created a value packed ebook showing people how to get more sales with classified ads. You can re-brand our ebook with your affiliate links from our websites www.classifiedsubmissions.com and www.coolmarketingsoftware.com. You then re-brand the ebook with your own affiliate links in a few clicks with our easy to use online re-brander here. Get Free Re-Brandable Ebook "101 Ways to Get Backlinks to Your Website" Give it away for free and earn huge commissions! Get Free Custom Traffic Generation Software! Now let’s look at how to promote the ebook. And let’s start with the basics. This is and always has been the fastest and best ways to get sales. And in now not only are you making sales but you are giving away a valuable info product for free. You will get lot’s more opens in your emails giving away something away for free. 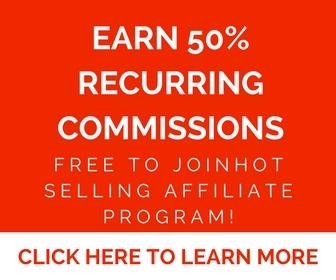 You are not only potentially earning commissions but you are helping members of your list. This is a win win situation. If you do not have a mailing list you need to start building one right away. Here is an article which gives you 8 reasons why you need an autoresponder now! 2. Share Your Ebook on Social Media. This is a no brainer and just takes a few minutes. Go ahead and stop reading this blog post, sign up for our affiliate programs and re-brand your ebook here. Then go ahead and share the ebook on Facebook, Twitter and Google with your embedded affiliate links. Action is what counts. You can get going in a few minutes. Slideshare.net is one of the most popular sites in the world. It specializes is hosting Slide Shows and PDF files. These files get ranked in Google very easily. I suggest creating an account with Slideshare.net and uploading a branded copy of your ebook right away. 4. Upload Your PDF Ebook to Multiple PDF Sharing Sites. Slideshare.net is the most popular document sharing site but there are many others. Here is a list of document sharing sites. 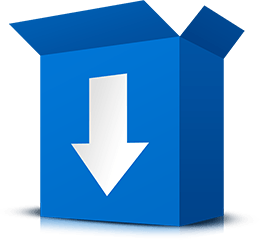 You can upload your re-branded pdf files to all of the document sharing sites. I would suggest varying the titles a bit to get found for different keywords. You can even pay a fivver gig person to upload your pdf for you to the top document sharing sites. Here is the link to a reliable freelancer who will upload your re-branded ebook to 15 high traffic document sharing sites for just $7. 5. Create Your Own Video Review of The Ebook on YouTube. You can create a Screencast video giving your own personal review of the ebook and include a link to your ebook in the description of the video. You could actually make 11 short videos reviewing the ebook. Take each of the 11 ideas covered in the ebook and do a video discussing each technique. Include links to your version of the ebook at the top of the descriptions of all the videos. YouTube videos get indexed unbelievably quickly in Google. You can also use these videos as beginning to the start of your own channel which you can also use to build your list. Include a link to your website and opt in form in the videos as well for more traffic. 6- Do a Live Video Broadcast Review of the Ebook on YouTube. Live broadcasts get even more traffic on YouTube than regular videos. Here is an article on how to do a live broadcast on YouTube. 7. Put Links to Your Free Ebook on Your Blog. You can create very nice looking banners for free with Canva even you are terrible at graphic design. Create some cool banners and link them to your ebook on your website or blog. Don’t have your own website or blog? You can get both here. 8. Use Your Re-branded Ebook As An Incentive to Join Your List. You know that you need to build your email list. However, now you often need an incentive for people to join your list. I use both the free ebook and free software. You are welcome to do the same. Offer the free ebook as an incentive on your sign up form. Then in the first autoresponder email put a link to the free ebook. You now have a happy subscriber and the potential of earning commissions from the re-branded ebook. 9. Use Classified Ad Marketing to Promote Your Re-Branded Ebook. Who better to want to learn how to make sales with Classified Ads than those already using classified ad marketing? You can download a variety of both free and paid classified ad programs here. Post classified ads everyday. They are mostly for free. Even consider buying cheap upgraded ads which will stick to the top of your category. You can learn more about upgraded classified ads here. Also check out this discreet software which will contact people already advertising on classified ad sites. It is called Omni Reply Reverse Advertising Software. I have tracked sales using this software and technique. 10. Start Your Own Classified Ad Site! This works incredibly well. You can offer free advertising to others and then put your ads for the free ebook on the site and in the confirmation emails. I do this all the time with www.thefreeadforum.com which now has over 50,000 members! You will need a classified ad software. I suggest Osclass open source software. It is robust and free. I have 35 sites using Osclass. See here to learn more about Osclass. It uses PHP and MYSQL and is open source. You will also need web hosting. I suggest a vps server. My recommendation is IOZOOM. You will need the LInux hosting not the Windows hosting for this project. IOZOOM is an outstanding company. I have several servers with them now. You will also need your own domain name. You can get one here. There are more than enough ideas for you to get started. Please let me know your comments and questions in the comments area. If you enjoyed this article please share on your favorite social media. You are welcome to embed any of these videos on your website or blog. Yes, Send me $597 of FREE Marketing Software! After a career as a professional musician and band leader in the Miami South Florida Area I decided to see if I could make some money with this new internet thing. After years of trial and error I started to get the hang of it and now I am completely financially independent because of my various online businesses. The goal of this blog is to chronicle my continued marketing experiences. I focus on real examples of what works and what does not work. Google does not give us a recipe for getting our sites ranked. We have to use our own experiences to see what actually works rather than theory. I hope you enjoy the blog. Please let us know what you think in the comments area. We appreciate your feedback. ​Download $597. of Pro Marketing Software for Free plus SEO and Affiliate Marketing Tips! Have a Video? Let Us Post it to 35+ Video Hosting Sites- Massive Exposure! Your ad On 500,000 Sites And In All Our Emails Each Month! Secret Super Affiliate Technique That Has Generated Over $12,497 In Affiliate Commisions! ​Download $597 of SEO and Marketing Software For Free! Plus get all the following when you join QRS newsletter for free! Free re-brandable ebook . Give it away and earn affiliate commissions. ​Free automated classified ad posting software! Members only discounts on pro marketing software!